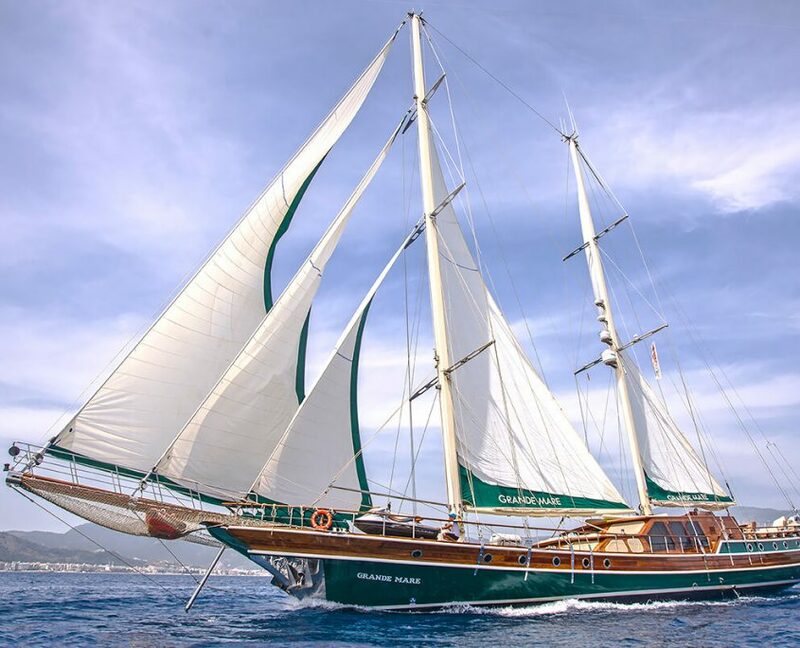 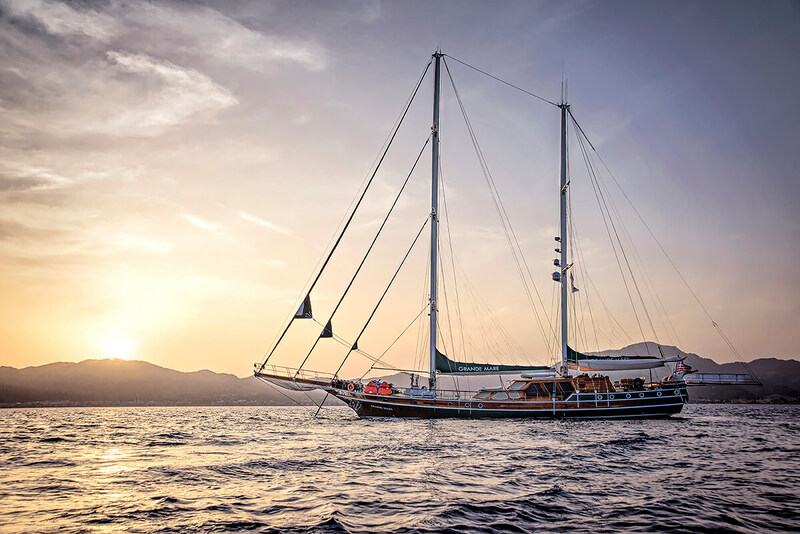 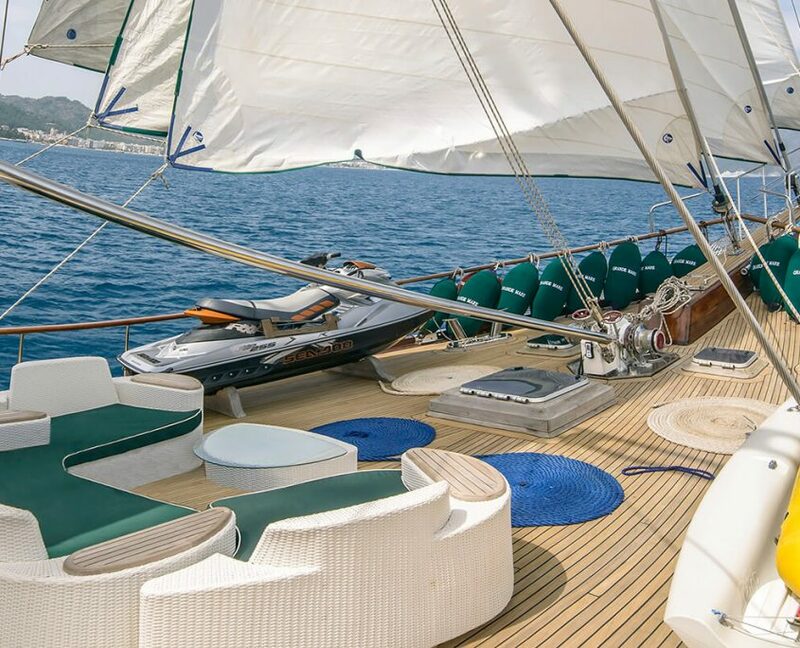 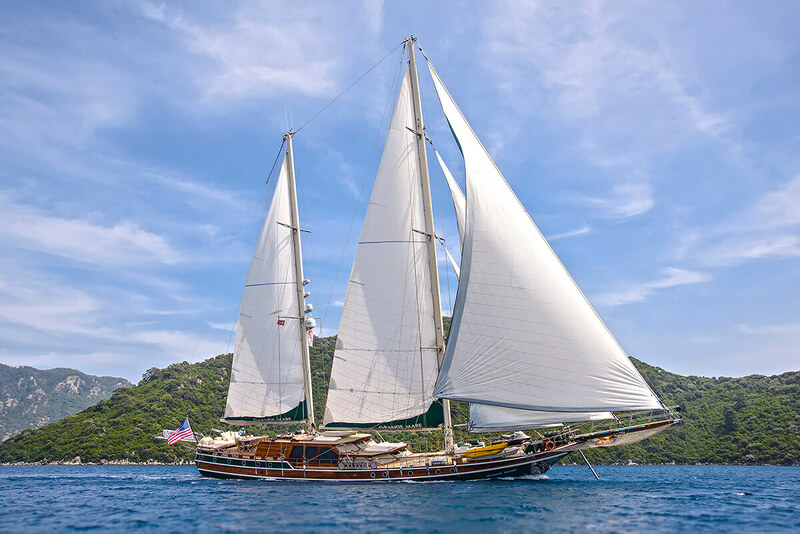 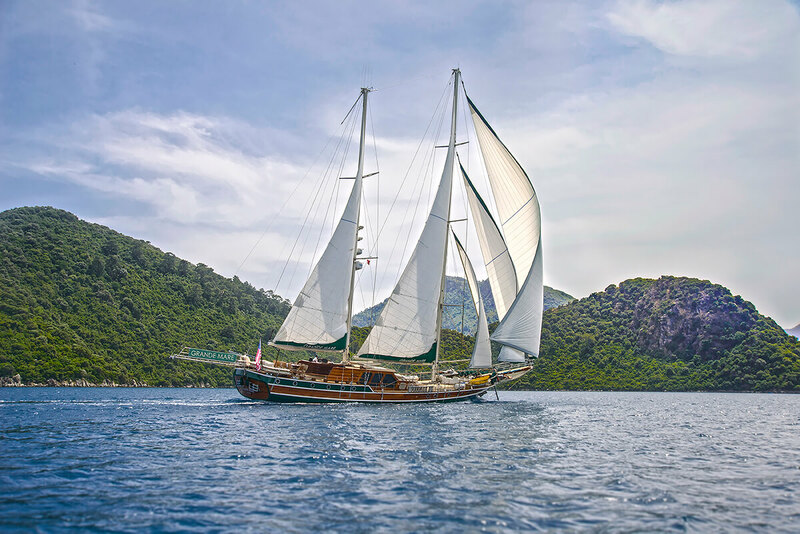 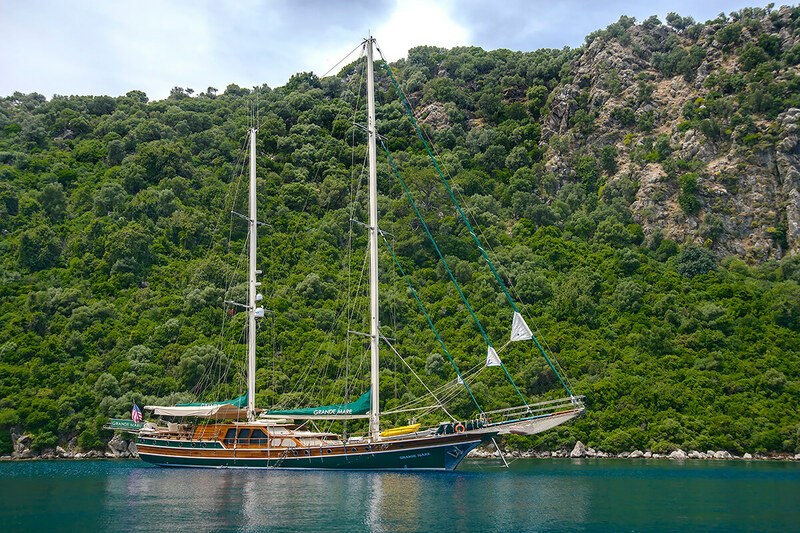 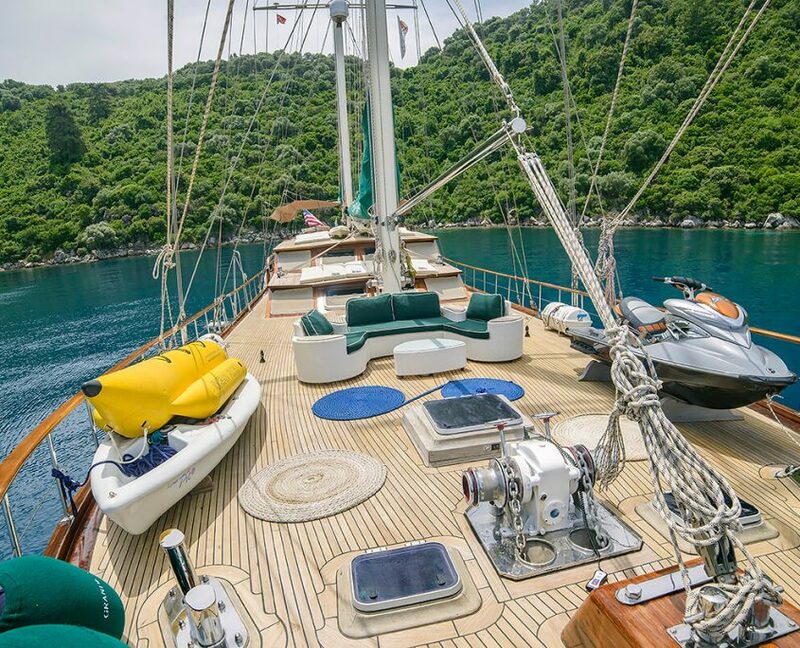 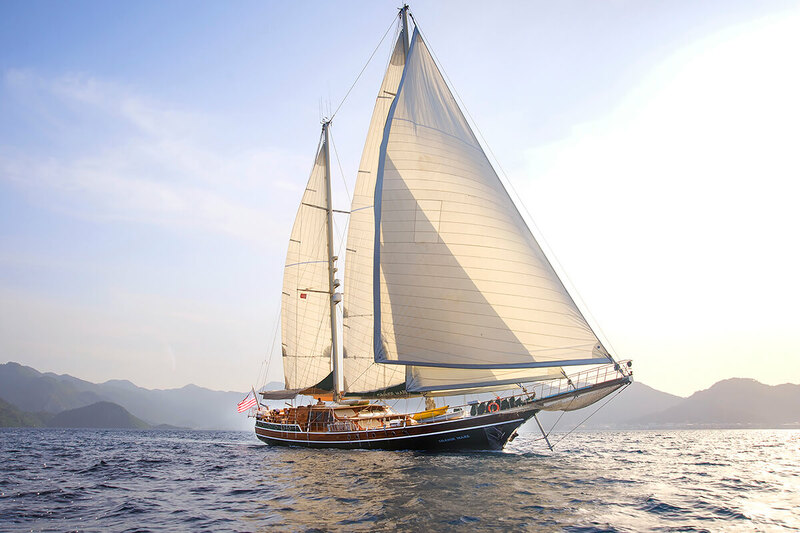 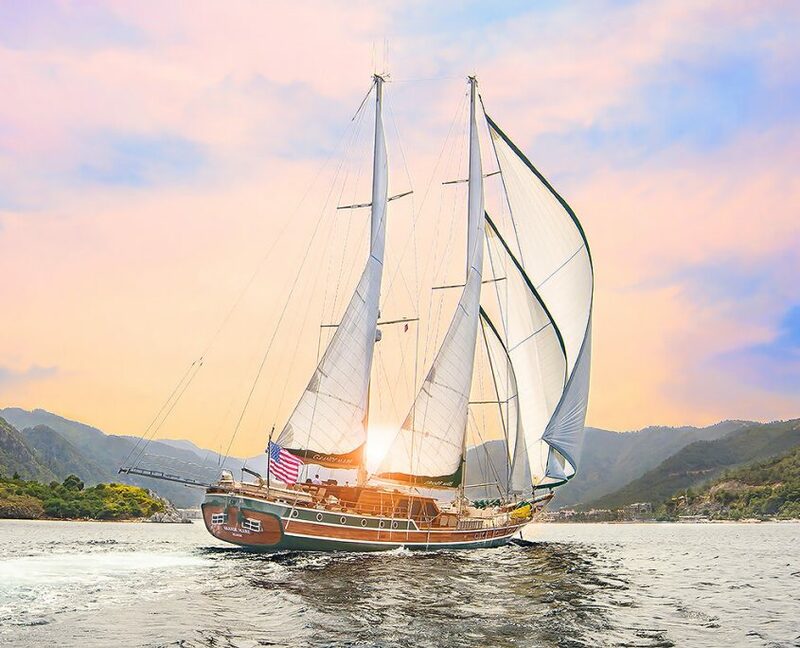 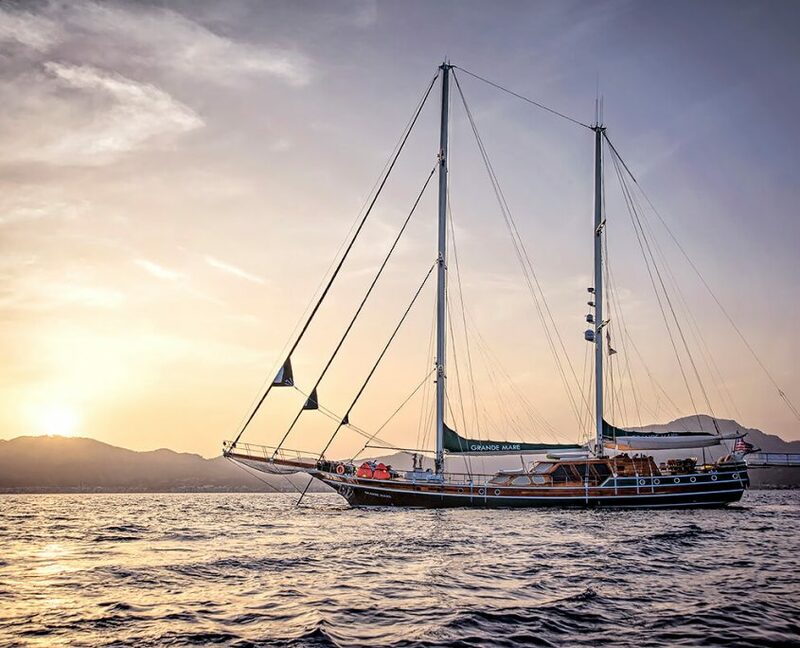 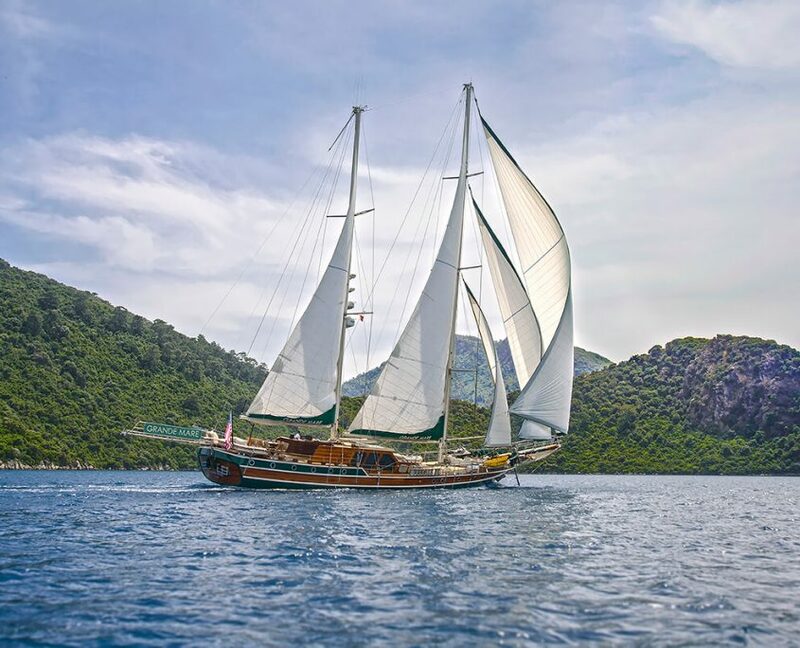 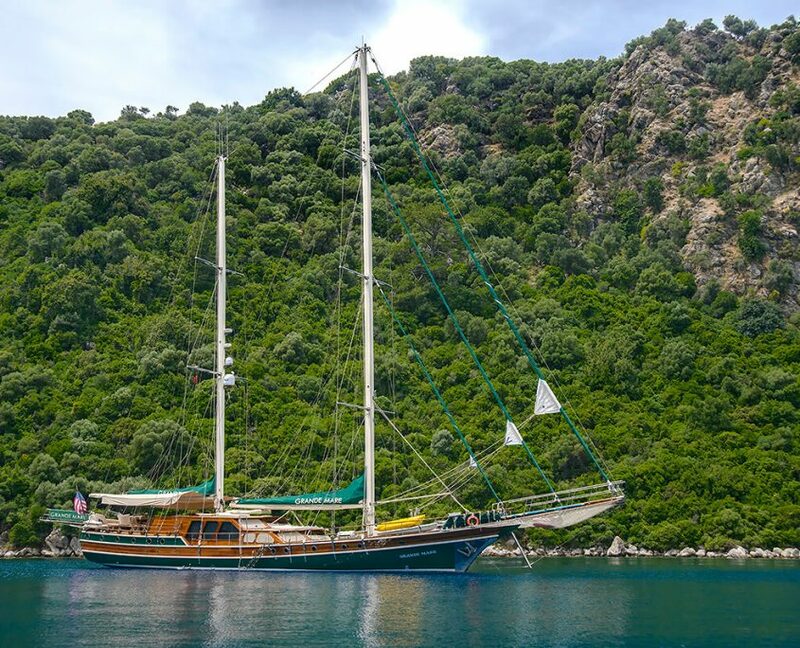 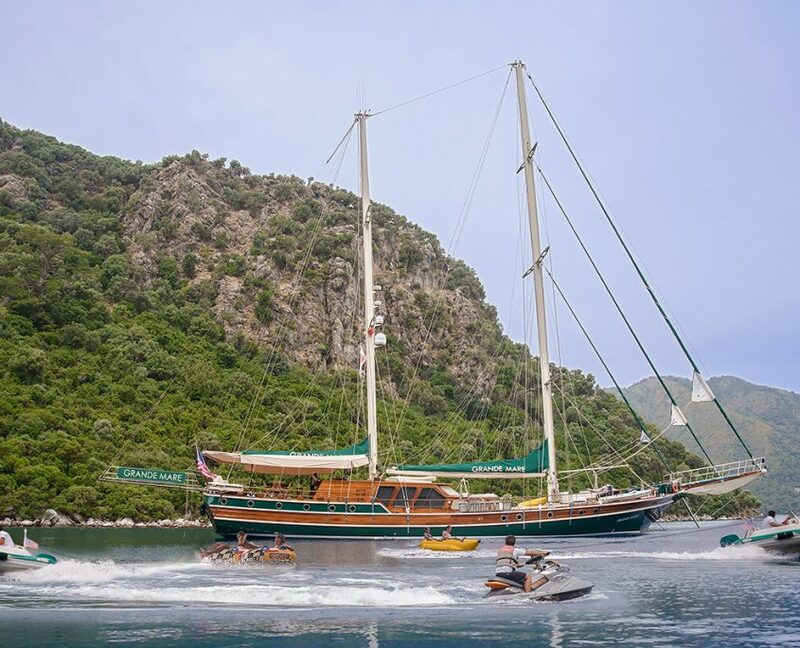 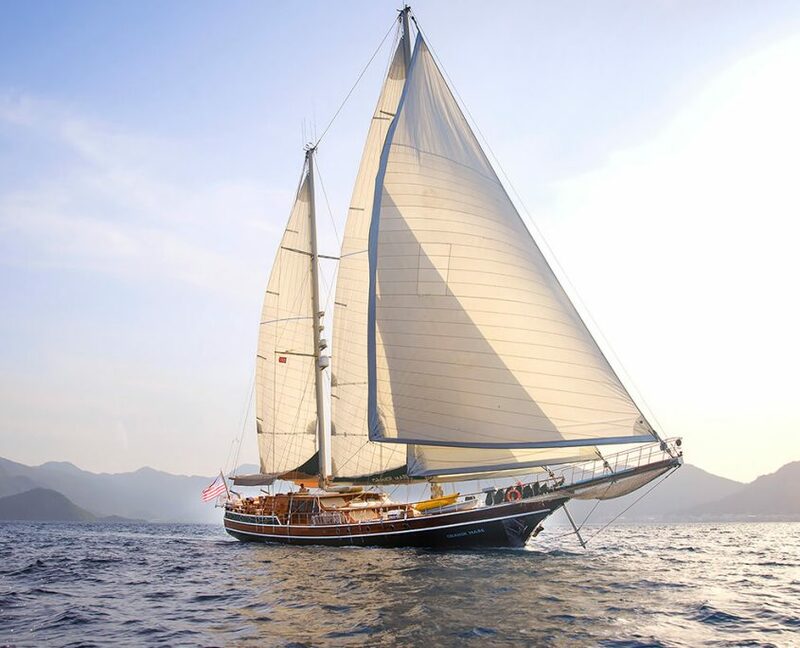 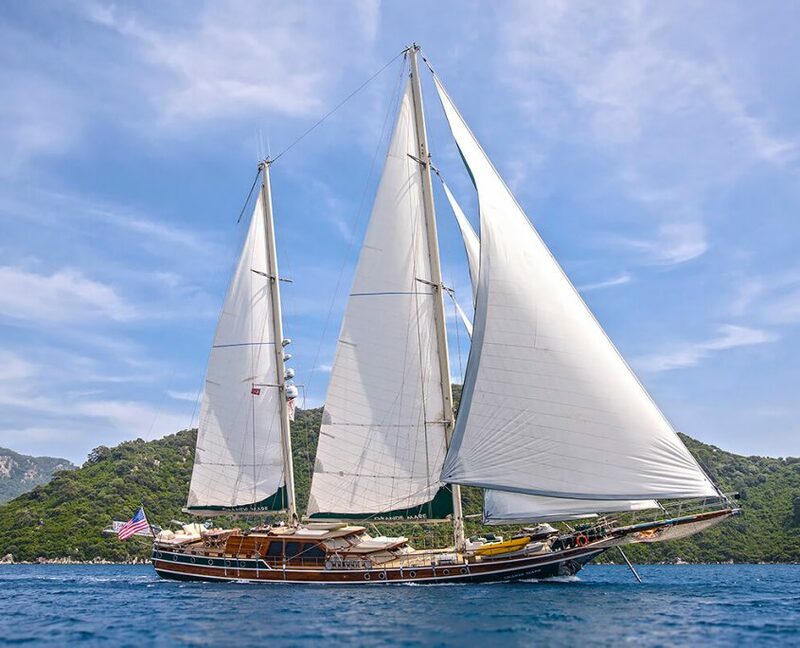 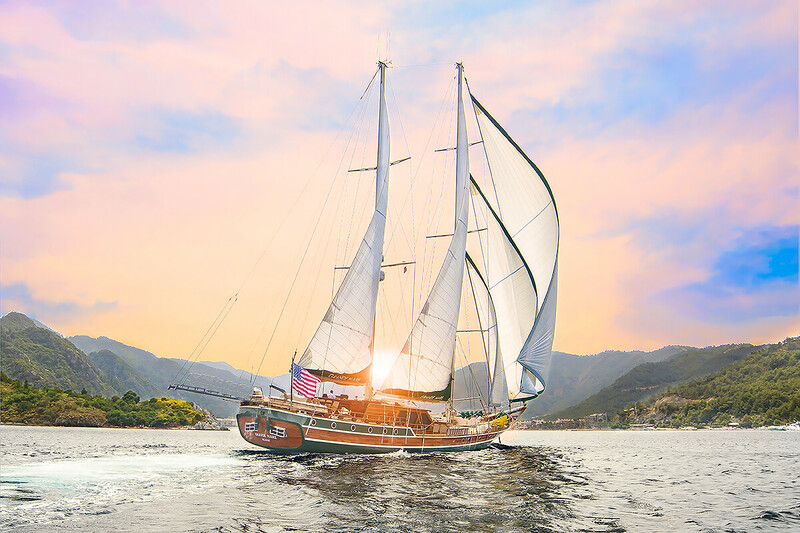 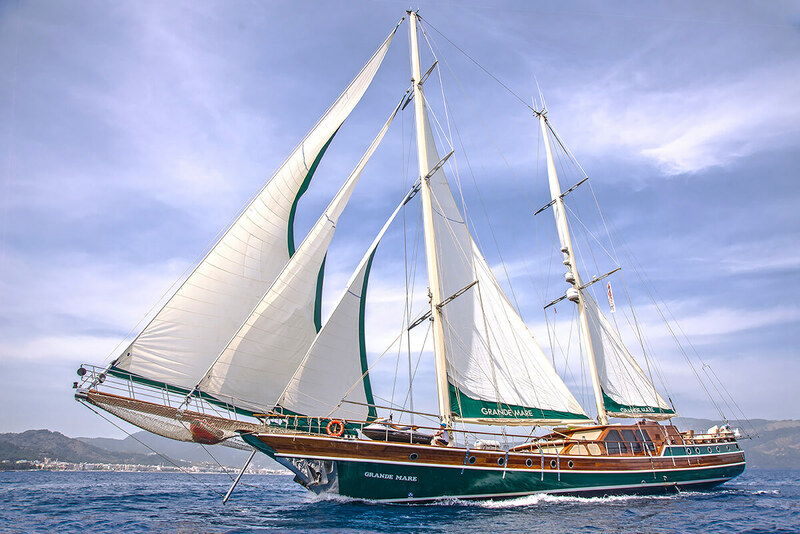 Dramatically beautiful sailing yacht Grande Mare (ex Carmina) is a 34 meter long deluxe gulet, launched in 2004. 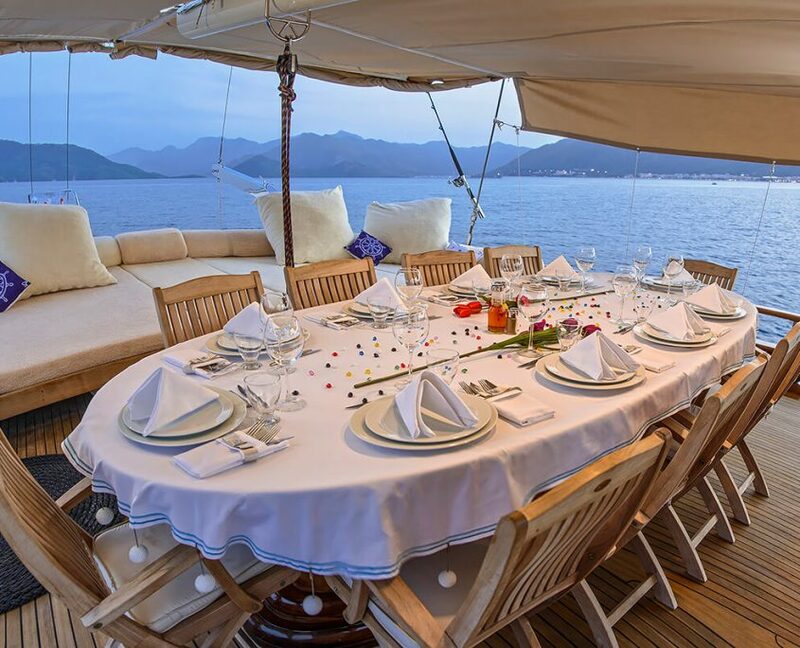 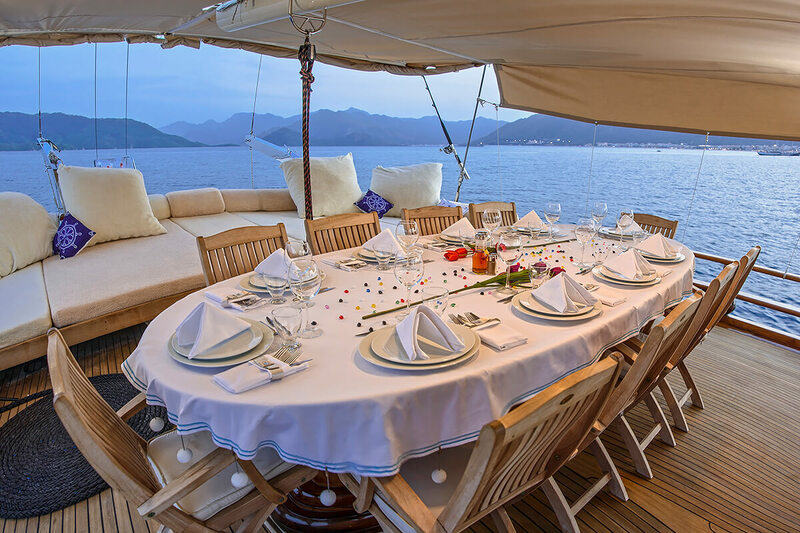 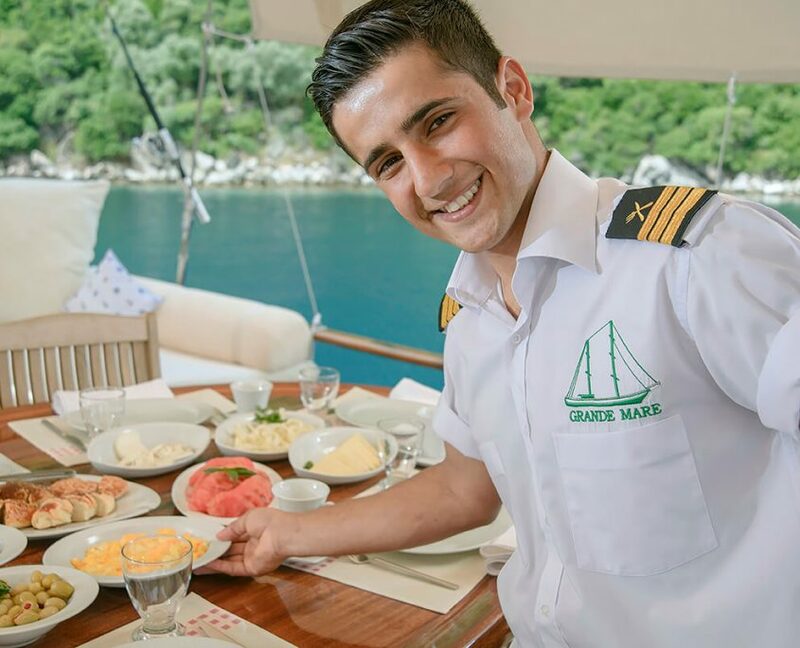 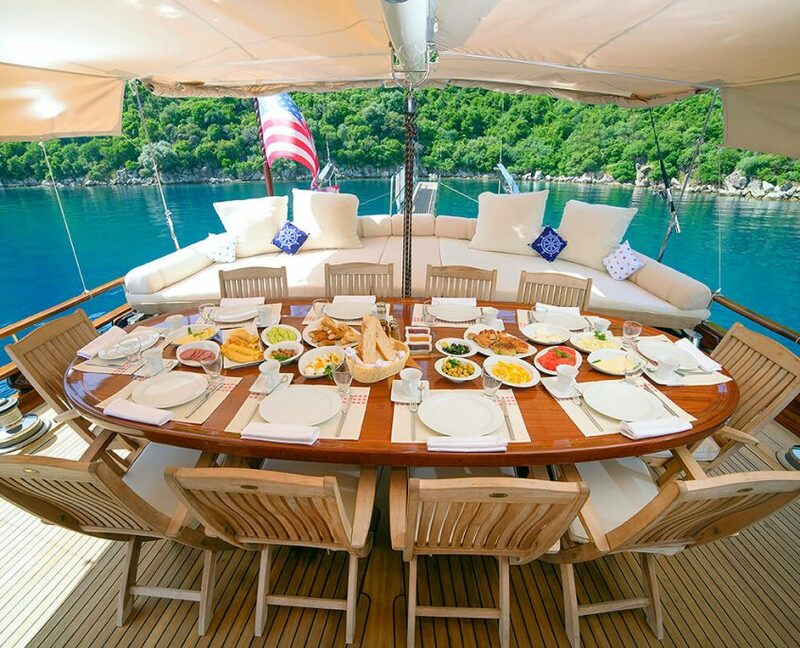 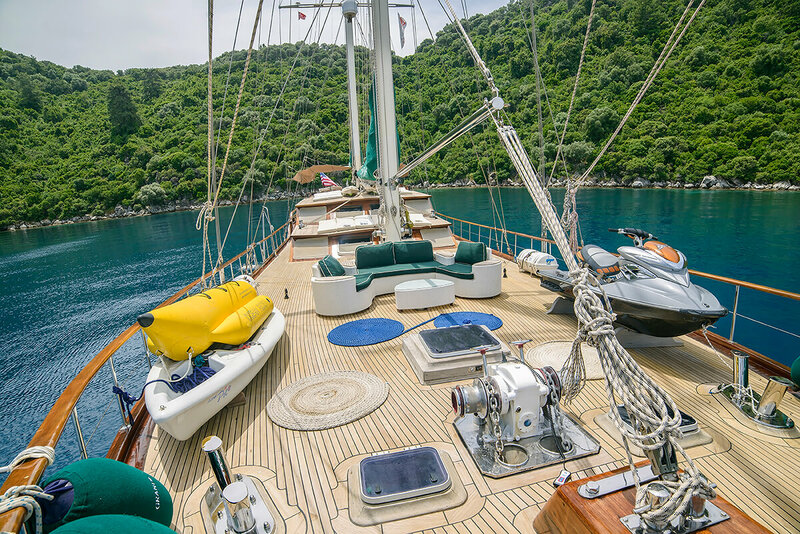 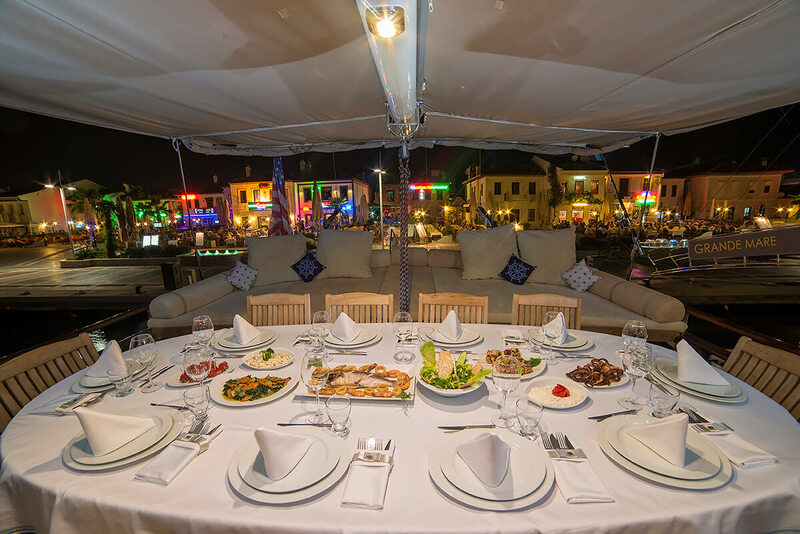 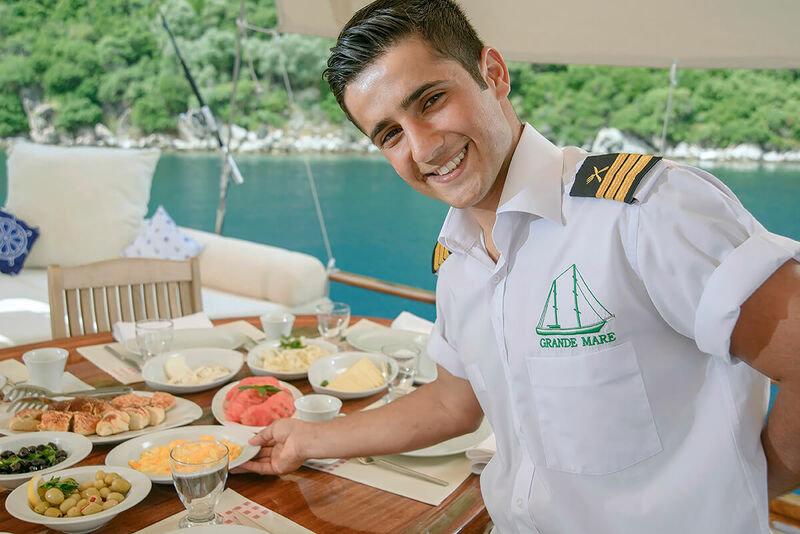 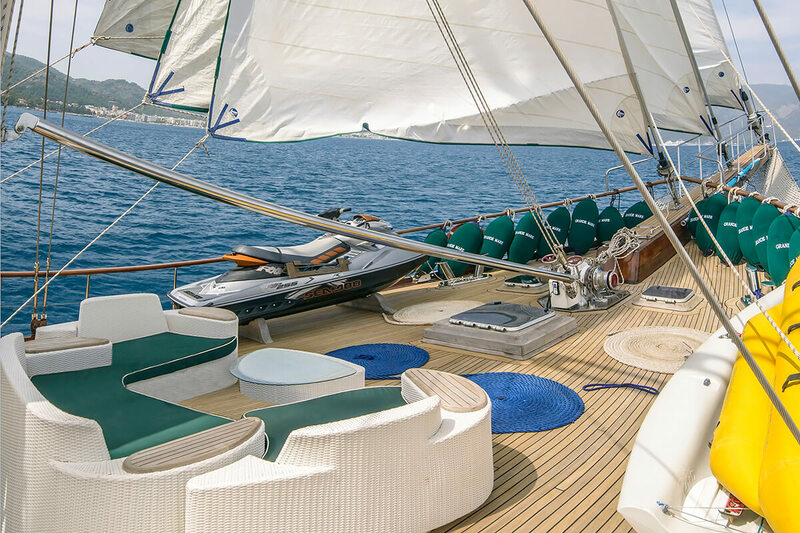 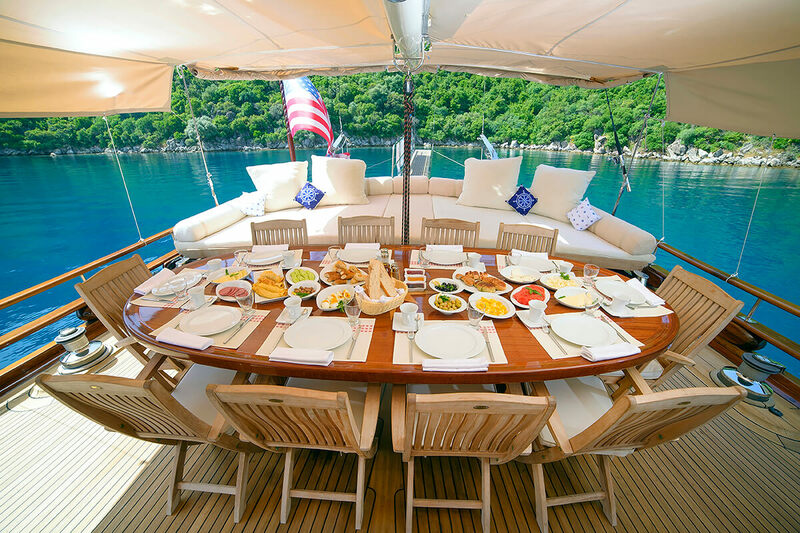 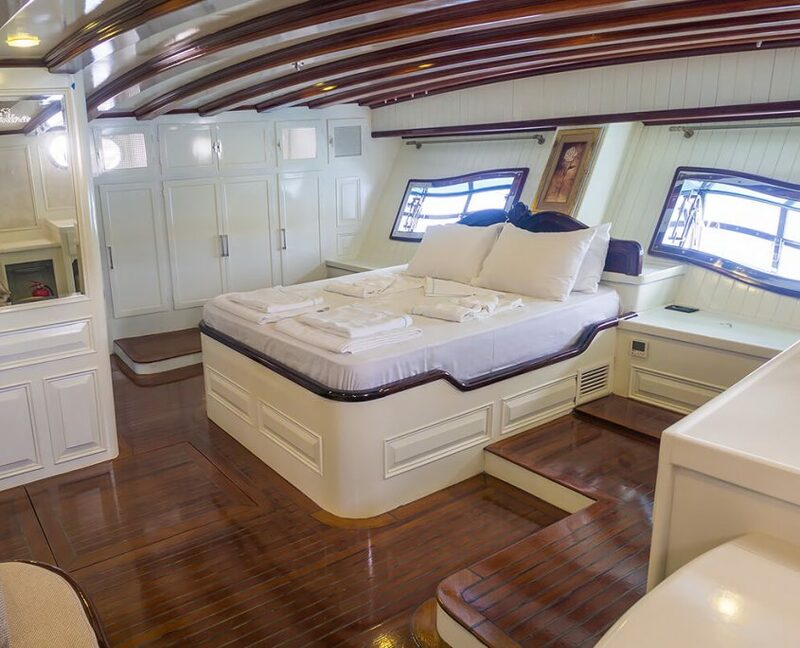 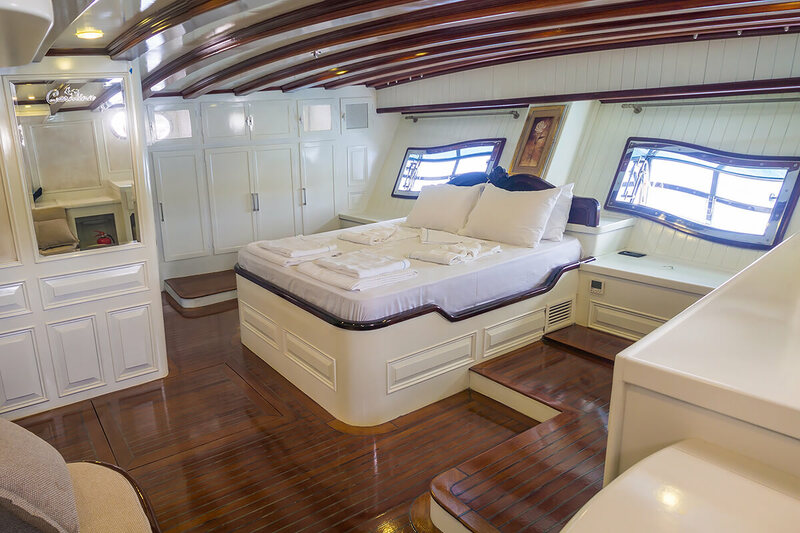 With the last refit in 2015, the luxury charter yacht Grande Mare provides her guests with the utmost in luxury. 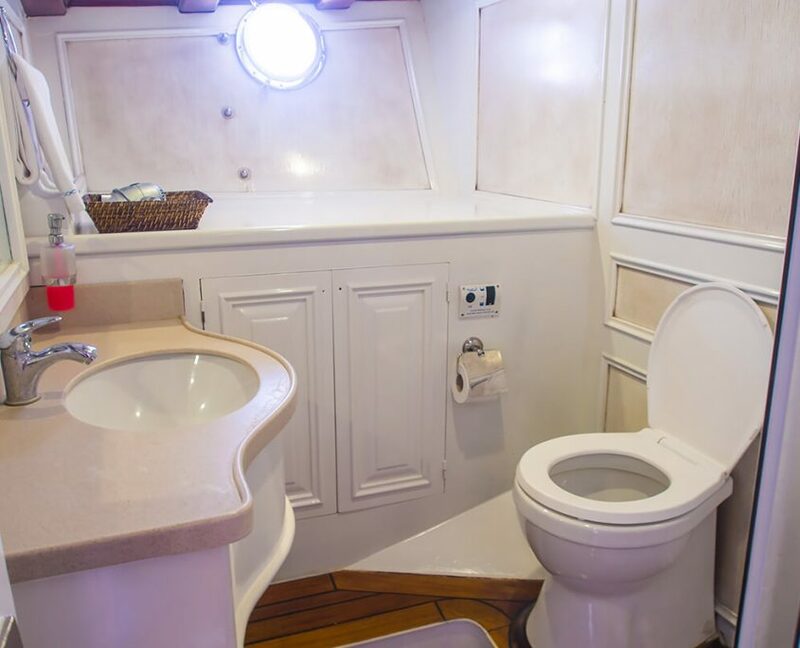 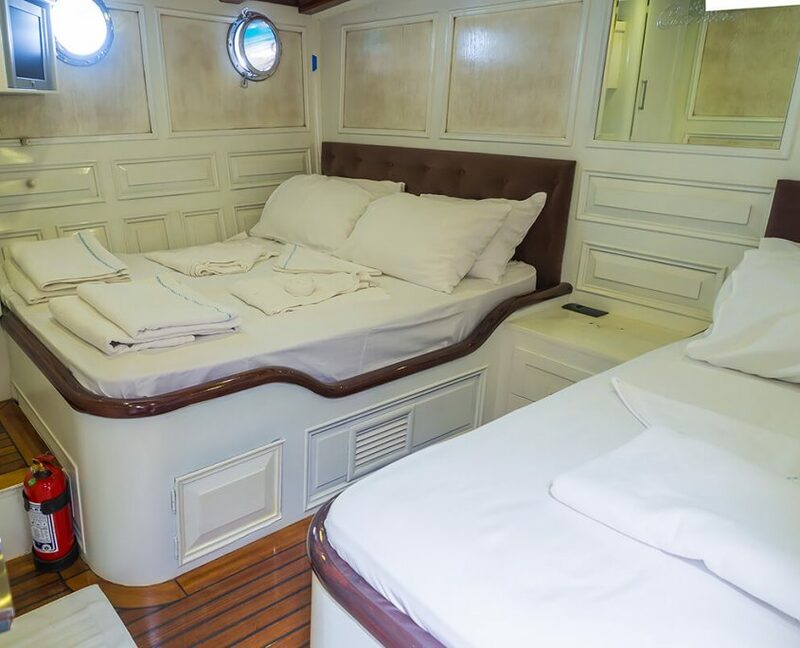 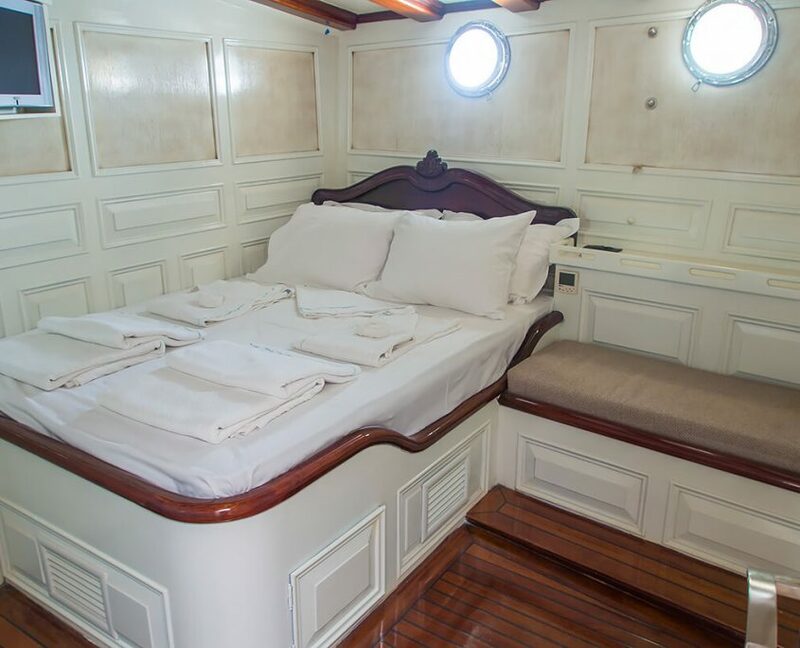 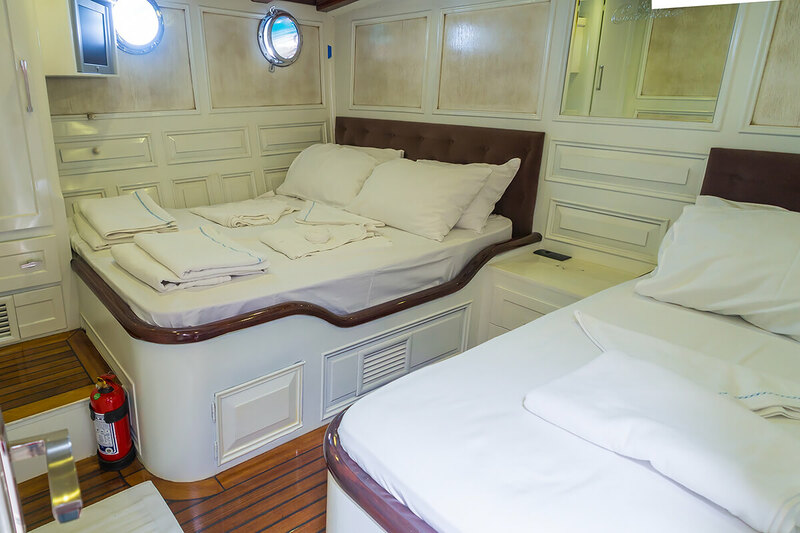 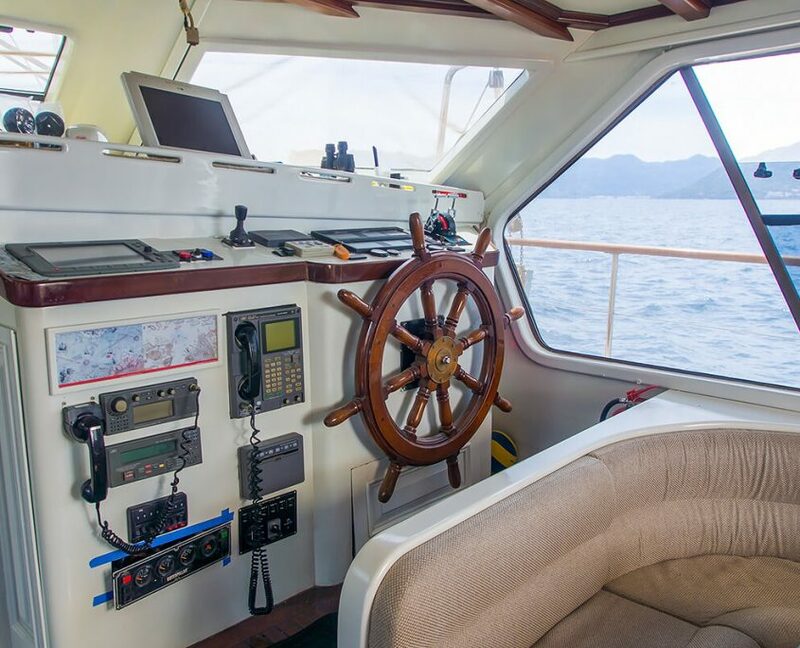 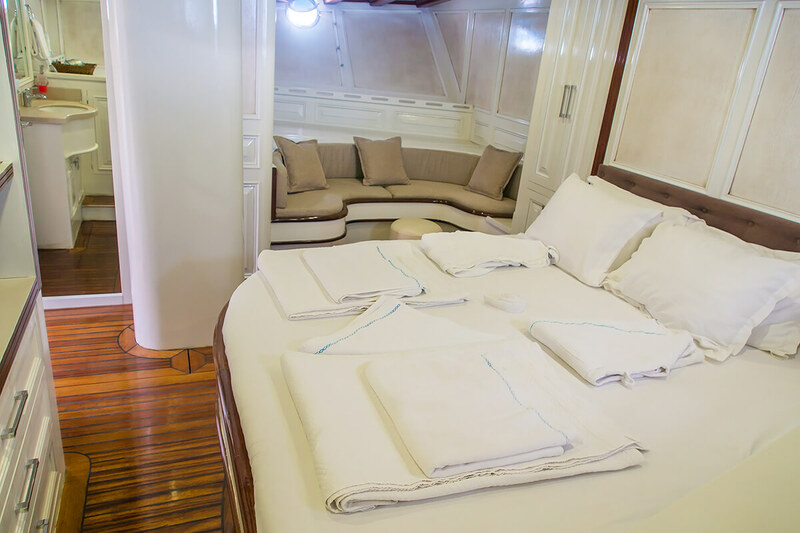 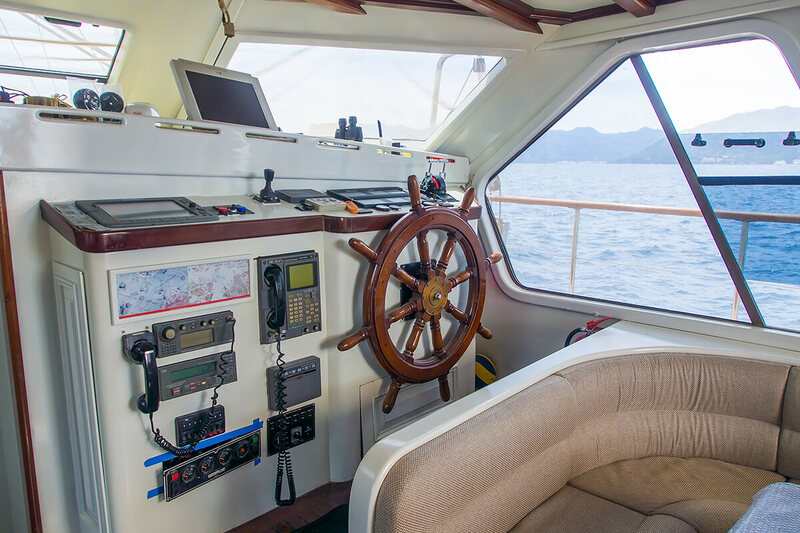 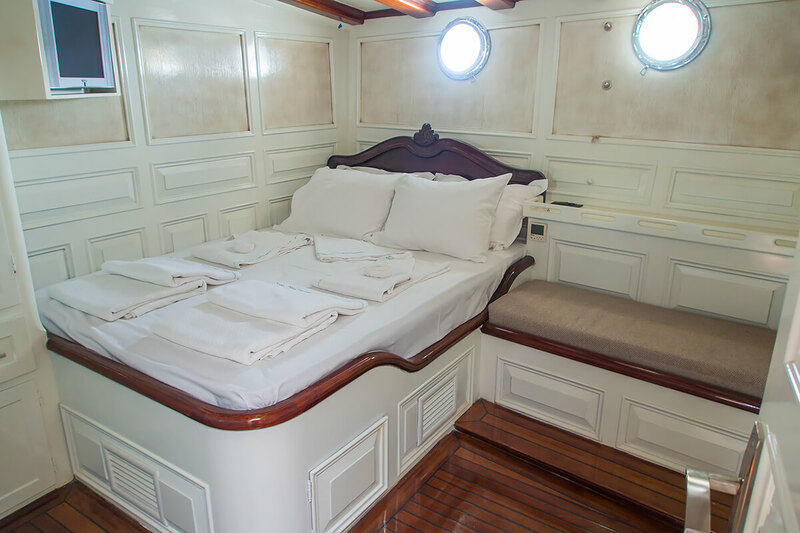 Six spacious and comfortable cabins aboard can comfortably sleep up to 12 guests. 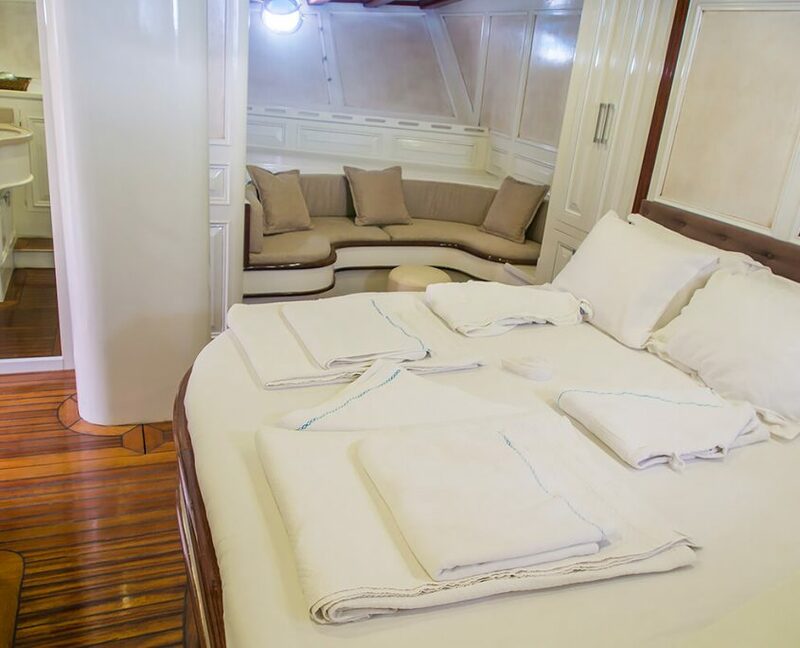 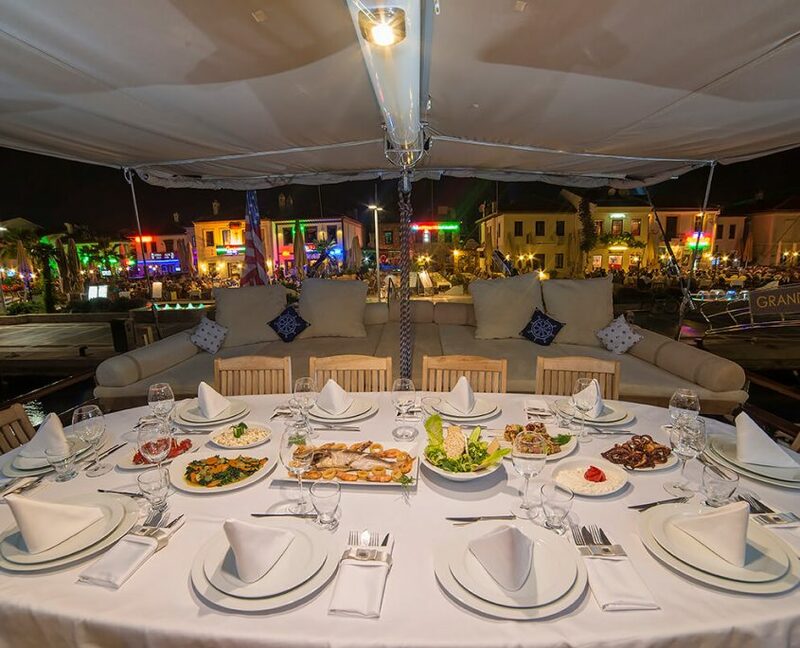 There is a master cabin, a VIP cabin, 2 double cabins as well as a triple cabin, with separate accommodation for a crew of 5, well experienced in vip service as well as customer care. 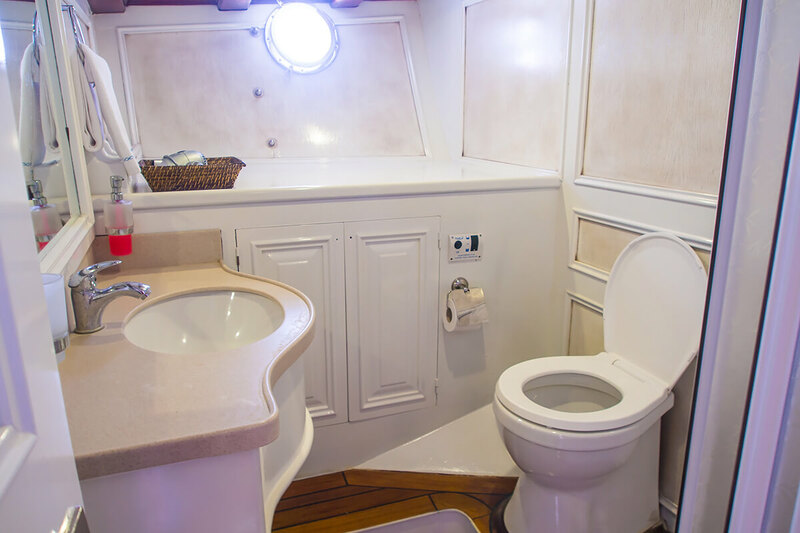 All cabins feature CD and DVD player, along with a TV offered by main saloon. 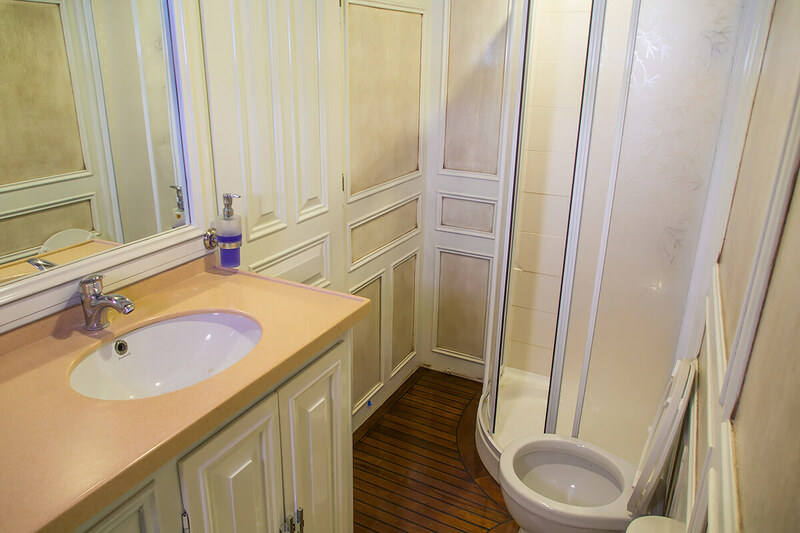 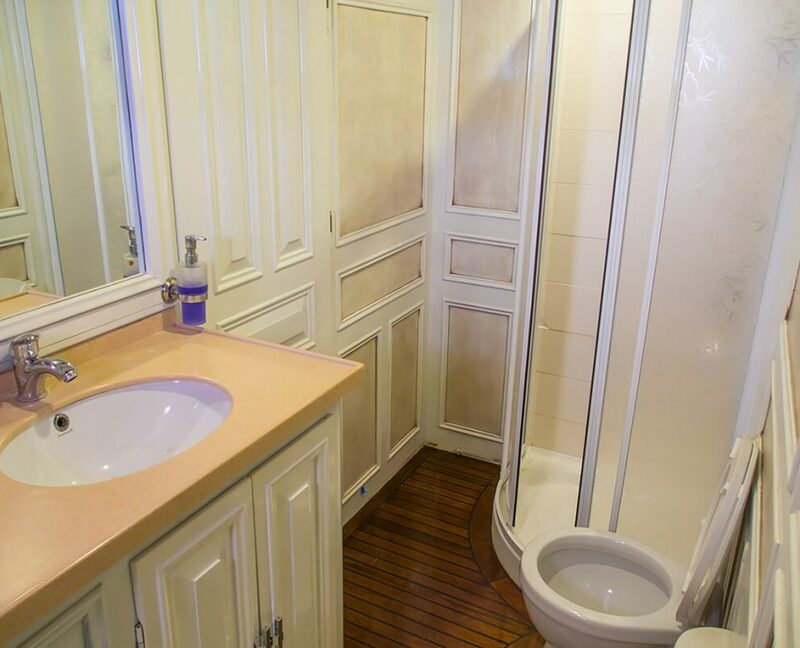 There are ensuite bathrooms with shower cells and vaccum flush toilet. 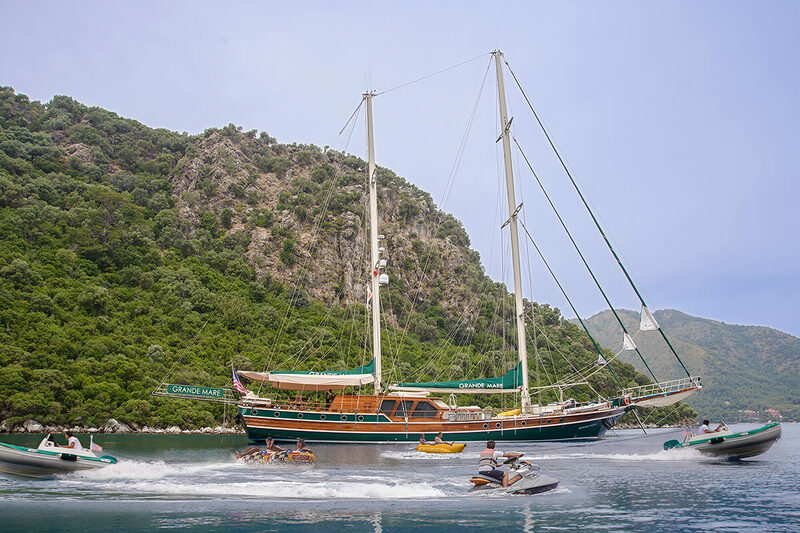 Grande Mare also offers a wide variety of water toys, including windsurf, waterski, ringo, canoe, as well as snorkelling equipment, fishing tackle, sun awnings, sun mattresses, deck shower and sea.